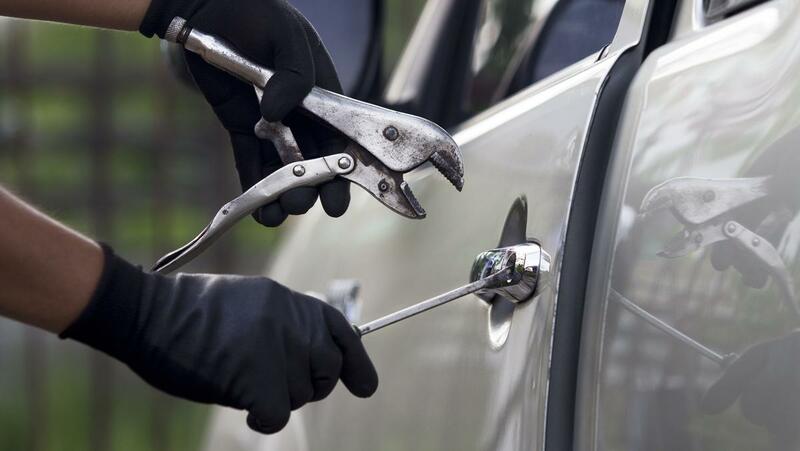 On Sunday morning Elk Grove Police arrested suspects in two separate incidents for vehicle theft. In the first incident officers responded to I-5 and Laguna Boulevard shortly after midnight after receiving call regarding a reckless driver. The reporting person indicated that the vehicle was stopped in the parking lot of a gas station. Officers arrived and located the described vehicle which was occupied by 32-year old Larry Fountain of Sacramento. Officers contacted Fountain and conducted a records check of the vehicle. The records check revealed that the vehicle had been reported stolen by Stockton Police Department. Fountain was detained and a search of the vehicle led to the discovery of stolen property. Fountain was arrested, booked into the county jail and released on bail. In the second incident, also early Sunday morning, patrol officers observed a reported stolen vehicle being driven by 18-year old Keyshawn Strickland of Sacramento near Elk Grove Boulevard and Elk Grove-Florin Road. After stopping Strickland, a records check verified the vehicle was reported stolen out of Chico, Calif.
Strickland was arrested, booked into the county jail and released yesterday on bail.